Streamlined, stretchy and designed for techincal mountain bike performance, the OPR Short features a clean, tailored fit, specialized features and integrated ventilation. Streamlined, stretchy and designed for technical mountain biking performance, the OPR Short features a clean, tailored fit with advanced features that transition seamlessly to a hike or pub stop after your ride. Made with our Velos™ stretch twill fabric and a sleek, streamlined fit with gusseted construction, the OPR offers unrestricted range of motion and functional features for long days on the bike. Two zippered security pockets lock down your essentials when you’re charging on the trail, and strategic perforated panels encourage ventilation on warm days. Our streamlined, stretchy and super-versatile mountain bike shorts. "The OPR shorts from Stio are designed to have a clean, tapered look while offering performance-oriented features like ventilation, comfort, and storage. 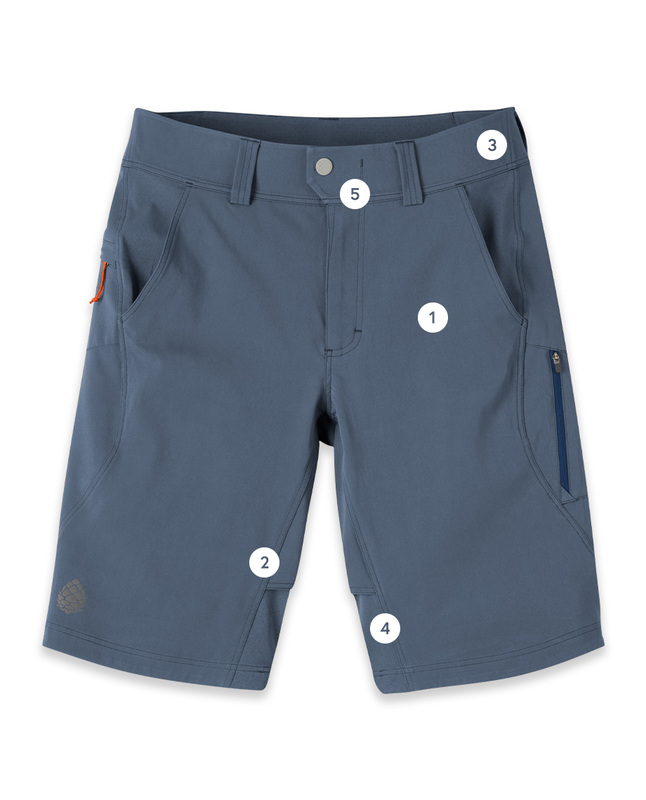 Of the shorts tested, they are among my favorites in terms of styling."